F. had already told me of this new series and I have just seen the opening trailer in television, but it didn't interest me a lot then. Last friday night, he wanted to watch the first episode with me. After the end of the first episode, I was fascinated and want to see more:) And now we have already end up to episode 9. I am excited about the series. 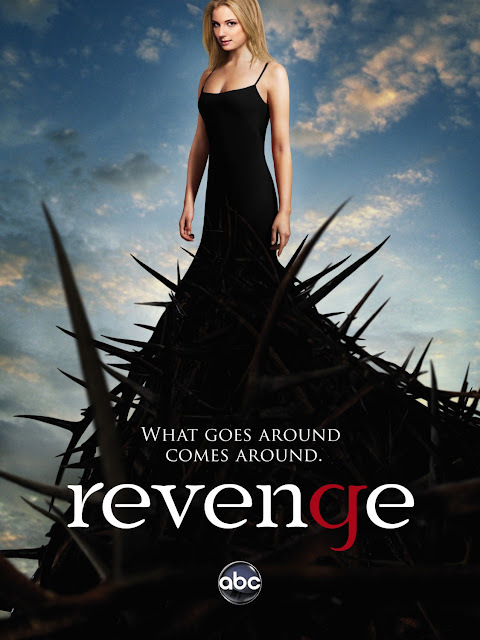 Revenge is an American drama which based very loosely on the novel "The Count of Monte Cristo" by Alexandre Dumas. From the makers of the series is described as a mix of Brothers & Sisters and Pretty Little Liars. It all starts with the fact that Emily Thorne (starring Emily VanCamp) and Daniel Grayson celebrate their engagement party in the Hamptons. A little later someone is found murdered on the beach.